The town is picture-perfect, but it's hiding secrets. And before school even begins for Ellery, someone's declared open season on homecoming, promising to make it as dangerous as it was five years ago. Then, almost as if to prove it, another girl goes missing. 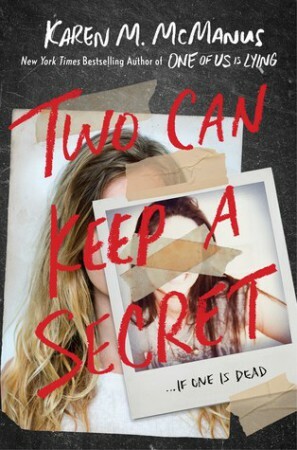 Two Can Keep a Secret is such a meaty thriller. There was so much going on, and there were so many characters and relationships to wrap my head around. Because there was so much going on, I felt like there had to have been a lot of pressure on the author (and her editor!) to do a good job of it. And I think they did great! Two Can Keep a Secret flows incredibly well, and the suspense is real. 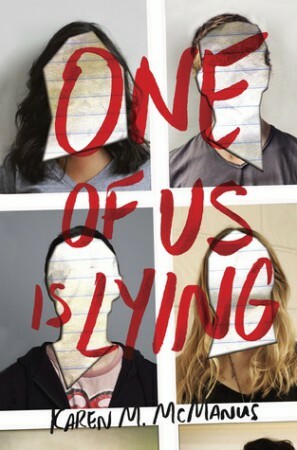 One of Us is Lying is a fast paced thriller that is perfect for your holiday reading! It completely hooked me, and I read it in two sittings (I was forced to take a break, meh) because I just couldn’t wait to find out what had happened to Simon. I was pleasantly surprised by the ending as well, which always makes for a good thriller.